Post news Report RSS	Fizz FIller - Now Available! Fizz Filler has finally been released! 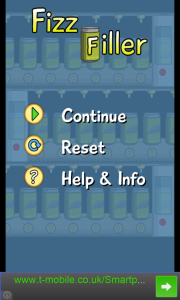 The objective of the game is simple, fill as many drinks as you can to earn as much money (coins) as you can. 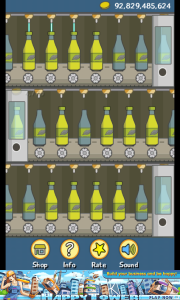 You can then spend all of your hard-earned money on some upgrades to improve the value of your drinks to help you make money even faster, or you can upgrade the speed of your production lines to get drinks out faster, and again make money faster! It took just over 1 month to make and lots of hard work, but the day has finally come to release my second mobile game, Fizz Filler! 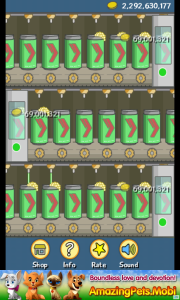 The objective of the game is simple, fill as many drinks as you can to earn as much money (coins) as you can. 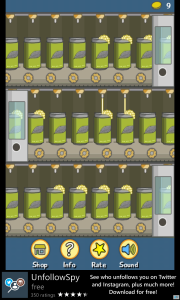 You can then spend all of your hard-earned money on some upgrades to improve the value of your drinks to help you make money even faster, or you can upgrade the speed of your production lines to get drinks out faster, and again make money faster! The game ad-supported, which means it is 100% free to play and includes no in-app purchases of any kind. I hope you enjoy playing the game as I did making it, its quite addictive! Grab Fizz Filler from the Windows Phone Store now!